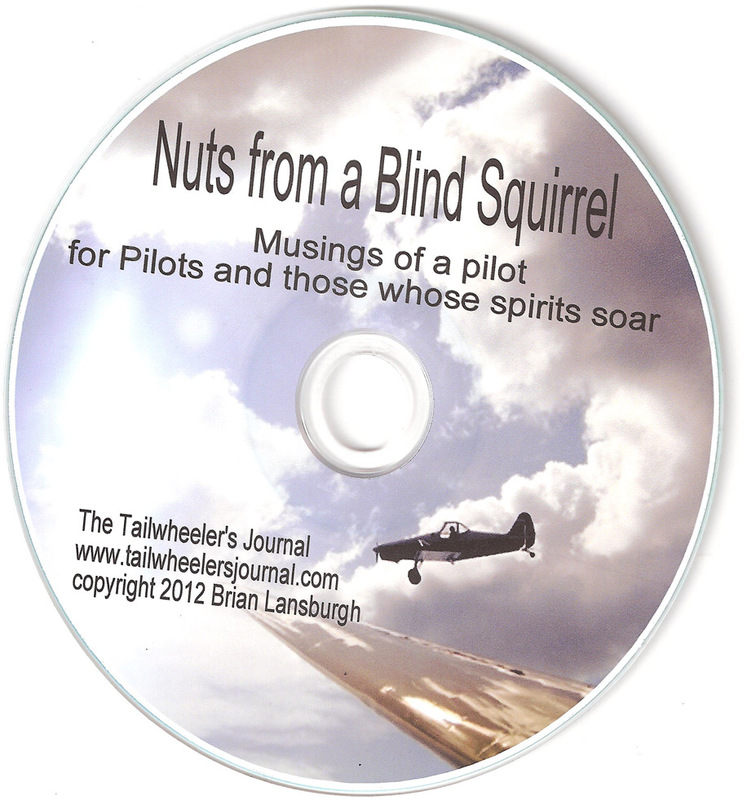 “NUTS FROM A BLIND SQUIRREL” is a new audio CD containing short stories from the Tailwheeler’s Journal. Each article, most of which have not been published before, is read by the author. Pilots will love these stories, but anyone whose imagination soars will appreciate these stories, not all of which are about flying but all of which are about the richness of life. They are available both on CD and on a flash drive loaded with MP3 files. Once you’ve downloaded the MP3’s, you’ve got yourself a nice 2GB flash drive! 1. Run-in at Rashneeshpuram: Oregon history figures in this adventure by an airshow pilot and his assistant. 2. 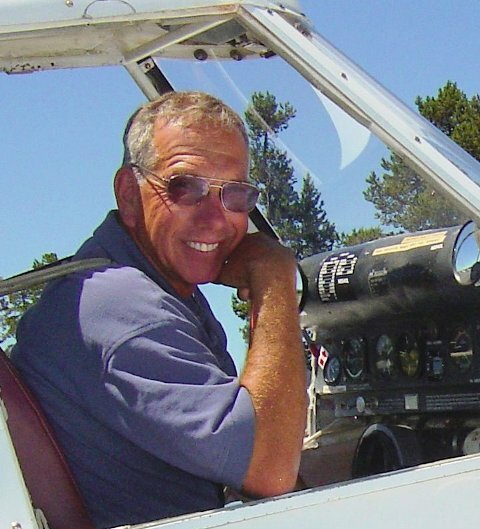 Oxnard Tower: Brian looks back at a maddening, but humorous, incident at an airshow. 3. Dog Day in the Coast Guard: A tale of the aerial rescue of a dog by two Coast Guard aviators. 4. Enthusiasm: We lifted audio from a live reminiscence of the endearing trait of one airshow performer. It’s illustrated in the telling of a hilarious flying story. 5. Symbols: A simple story of the images that burn themselves into our minds and which serve to recall the important events and people in our lives. 6. 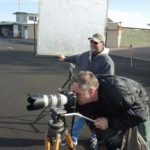 Ringers: A tongue-in-cheek look at how Brian’s tailwheel endorsement course attracts such talented fliers. 7. Don’t you know this is illegal? : A little story about making up rules as we go. 8. Fish: A reminiscence of an interesting character from Brian’s days living North Florida. 9. 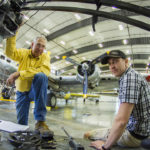 The Duxford B-17: The story of a kid who witnessed the crash of a B-17 in war-torn England and went on to become a senior captain with British airways. 12. The Geezer Patrol: What happens to old pilots? They join the ranks of the Geezer Patrol. We salute them in this lighthearted homage. 13. Hangar Doors: What’s behind those doors? The question is partially answered in this piece which also explores the mysterious attraction of flying. 14. In the Genes: Brian reveals his roots in this tender salute to his parents, two groundbreaking film makers.